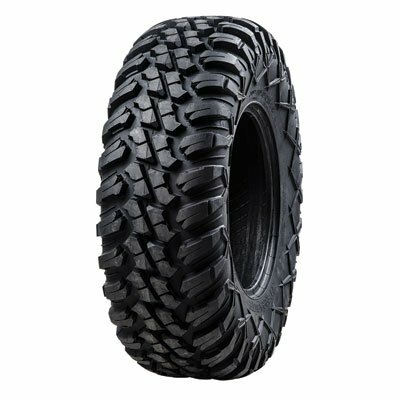 The Tusk Terrabite tire is the ultimate all terrain tire for your UTV or ATV. The truck style tread pattern provides excellent multi-surface performance and high mileage wear on road and off road. Aggressive shoulder and sidewall tread add protection, and bite in dirt, sand, and rocks. Smooth on road ride, and great off road traction make the Terrabite a complete package for all terrain performance. Excellent off road and on road performance. High load ratings for today?s larger machines.